Growing yourself a Rapunzel-esque mane is now a possibility with the select range of Kaya Skin Clinic’s Hair Care Products. See how you can boost hair health and enrich it with a healthy daily routine using these great products from Kaya Skin Clinic. When it comes to hair care, everyone has an opinion. From using countless homemade hair care products to getting your tresses treated by hair care experts, there’s a large list of options available on the net. Given all this, it can seem like a daunting task to find the product that works best for you. You can always trust an established name, though; with Kaya‘s hair care products, you can easily whip your hair back into shape. Let’s take a look at the different products you can avail to grow your hair in a healthy manner. 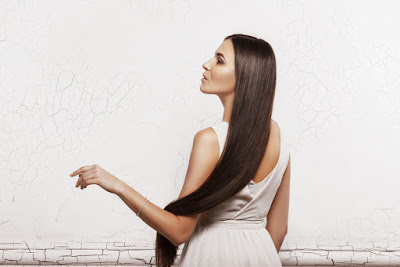 No matter how often you oil your hair, it won’t get its full volume unless you regularly use an enriching shampoo. Though you should be wary about over washing and drying your hair, rinsing your hair with a shampoo will help in extracting toxins and dirt away from the strands and scalp. The hair Nourishing Shampoo from Kaya contains hibiscus extracts that bring back your hair’s lost shine. The almond oil content strengthens the roots from within and penetrates deep into the different layers of your hair. Rinse your hair with this shampoo twice a week, and follow it up with a complementing conditioner for best results. Conditioning your hair with a hair gel or serum is something people often skip when they wash their hair. Using this hair gel helps lock in the nutrients on the scalp. Kaya’s Hair Health Gel has a protein, mineral, and vitamin complex that’s formulated by experts to reduce hair loss and boost hair growth. Exotic herbal extracts like Saw Palmetto, Ginkgo Biloba, and Hibiscus promote the production of healthy hair follicles to decrease hair breakage. Put an end to your never-ending quest for long tresses with these hair products. If you have persistent hair fall, visit Kaya Skin Clinic for a one-on-one session with our expert dermatologists. Have you had enough of anti-acne products that eat up your income but don’t deliver results? Maybe it’s time you try out a facial. Not just any facial at a salon, but Kaya Skin Clinic’s Pure Pore anti-acne facial. It’s designed by expert dermatologists at Kaya to care for your skin and target acne. Acne is a result of unhealthy eating habits, hormonal fluctuations, and stress. Your skin secretes an oily discharge called sebum. Its job is to protect your skin from bacteria that causes pimples and infections. It also maintains the pH balance of your skin, and without this, your skin invites bacteria that give rise to zits. An excess secretion of sebum, however, spells disaster for your skin. It fills up skin pores, collecting impurities over time. The resulting grime provides the ideal conditions for bacteria to thrive, which gives rise to acne. Ridding skin pores of the dirt and bacteria is a crucial step in acne prevention. This is where Kaya Skin Clinic’s Purepore facial comes in and detoxifies skin, while also intensively hydrating it. The cleansing gel, besides giving your skin a thorough cleaning also contains tea extracts as an active ingredient. They have the sole function of reducing inflammation. Once your skin is cleansed, a special serum is applied to prepare it for the first mask. A desincrustation mask is the third stage before the extraction process. It cleanses the skin, and softens the epidermal layer. Impurities and oil within your pores are washed away by the salicylic acid. Antioxidants from the tea extract start acting immediately to soothe the skin. Sea mud, rich in minerals, scoops out the oil and dirt from the pores. And together with ichthammol, it mops up oil without drying the skin. A blend of tea and buttermilk work together to, as the name suggests, relax the skin. The final stage of the facial is conditioning, which is accomplished with a mattifying moisturizer. Microalgae (Porphyridium Complex) in the moisturizer controls oiliness without risking dryness, whereas zinc oxide shields the skin against acne, and mattes it without causing any rashes. Everyone knows about the threat posed by our country’s tropical climate; the sun in India can wreak havoc on your skin. Effective products from Kaya helps you defend your skin against the harsh rays of the sun, keeping it pretty and protected. Harmful sun exposure and our fast-paced lifestyle, both affect our health; this is a simple, undeniable fact. Your skin dries up and ages abnormally fast due to the increasing exposure to pollution and the harsh rays of the sun. Get yourself a customized skin treatment to improve the tone of your skin and give it a radiant lift by consulting with the experts at Kaya. From personalizing your treatments to giving you the best of skin products to protect your skin against the harmful rays of the sun, you’d find everything you need here. Let’s take a look at the different sunscreens available at Kaya, and help you bring back youthful radiance to it. Using a sunscreen like Daily Use Sunscreen SPF 15+ helps safeguard your skin from everyday exposure to the UV rays waiting outdoors. Regular usage helps you fight skin issues like aging, sunburn, wrinkling, sun spots, and sagging. Simply dab this lotion onto your face 20 minutes before going outdoors. This sunscreen’s Ultra Boot star rating of 5 ensures that you get the highest possible level of UVA protection. Layering your skin with too many skin care products can leave it stressed, especially if your skin is sensitive. Go in for Kaya sunscreen for sensitive skin instead; this gives your skin the gentle care it needs. This is a lightweight formula that won’t leave your skin greasy. It hydrates your skin and nourishes it from within, by penetrating into its deep layers. 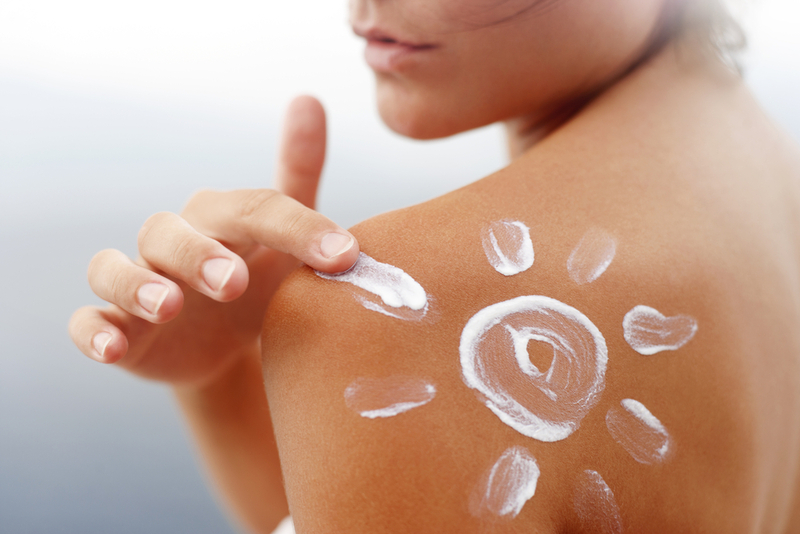 With your busy lifestyle, you simply don’t have time to retouch sunscreen throughout the day. With Kaya Skin Clinic Daily Moisturizing Sunscreen SPF 30+ you can now relax; it lasts all day. The effective formula of this sunscreen solution hydrates your skin and nourishes it from within. Apply this sunscreen on your face and other exposed skin 20 mins before you step outside for long-lasting sun protection. Want a sunscreen that also helps refine your features? The all-in-one functions of Kaya Complexion Perfector Cream helps hide spots, brighten skin tone, and smooth its texture. This cream also blurs the fine lines and tanned spots across the face, giving you an attractive evened-out skin tone. It’s nourishing formula helps hydrate the various layers of your skin and protects you from the harmful UVA and UVB rays. Sweat-proof sunscreen? We Have That Too! Sweat-proof sunscreen—like this fine example from Kaya—helps you protecting your skin for a longer duration. The UVA and UVB protection offered by this sunscreen cream give you up to 8 hours of broad spectrum resistance, even against water and sweat. This non-greasy formula has a smooth and silky after-feel, and leaves you skin feeling fresh.